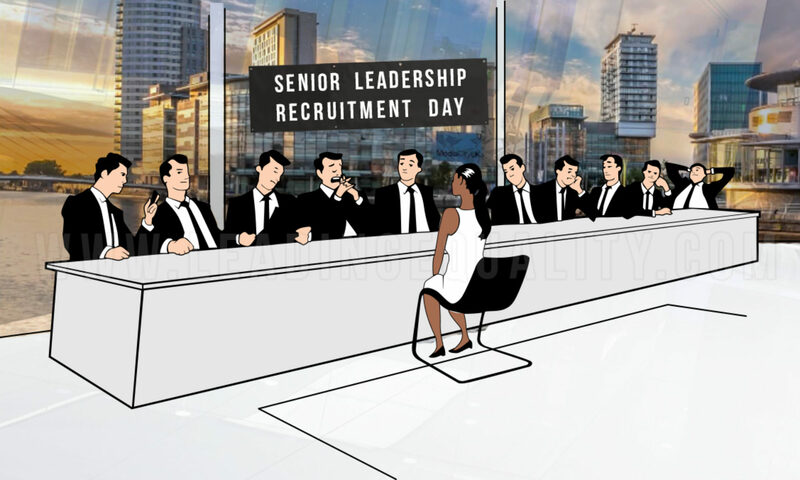 Existing research highlights that; curriculum relevance, lack of diversity in the workforce, lack of aspiration, low expectations, absent fathers, socioeconomic disadvantage, poor housing and institutional racism are the main factors that contribute towards poor attainment that have resulted in a disproportionate exclusion rates for Black children (see Demie, 2019, Gillborn, 2008, Tomilinson, 2008). This article discusses the importance of curriculum relevance and associated barriers. The National Curriculum is a framework consisting of a range of subjects and assessment criteria used in primary and secondary schools to enable continuity (DfE,2018). It was introduced during the conservative administration, under Thatcher’s government. It is argued that schools are still influenced by neoliberal discourse which has a negative impact on educational structures (Saltman, 2014). Similarly, Peters (2015: 643) identified that the curriculum is racialised as white was fundamental to the development of capitalism. Neoliberal approaches to education have resulted in the reduction of a diverse curriculum (Saltman, 2014). This has resulted in a restrictive assessment and framework that does not meet the needs of all learners, especially Black pupils (Lumby, 2016). The National Curriculum is framed in an Anglocentric perspective where ‘victors’ have written the history and defined the narrative (Richardson, 2007). Textbooks used to support topics within the curriculum are primarily written by white publishing companies such as NCS Pearson and McGraw Hill Education, who have been accused of normalising a white ethnocentric narrative (Saltman, 2014; Peters, 2015; Gillborn, 2008). For example, McGraw Hill Education has been recently accused of downplaying slavery by reinventing the narrative that African Slaves were ‘agricultural workers’, implying that they were migrants benefiting from the economy (Dart, 2015). 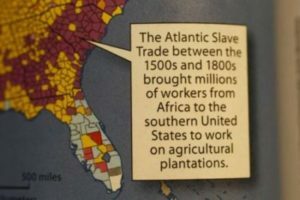 This caption identifying slaves as “workers” appears in a McGraw-Hill World Geography textbook. This is an example of the ‘racial erasure’ described by Bain (2018:14) which includes the erasure of white racism within the curriculum by the elimination of non-white contributors and whitewashing atrocity. Over 61% of secondary schools in England have become acadamised (Local Government Association, 2017), therefore they do not have to follow the National Curriculum. This gives Academies the potential to modernise the curriculum to reflect the global population of the school. This will eventually develop an inclusive ethos of learners understanding a range of different cultures that, in theory, will increase positive relations and community cohesion within the school. With a range of different cultural backgrounds and nationalities in England, it is essential for the curriculum to reflect global society and to relate to the increasing global audience. The National Curriculum is content driven and is therefore harder to accommodate those from a Black and Glocal Majority (BGM) background (Lumby,2016). However, there have been changes in the National Curriculum as an attempt to reflect the changes in society. These changes are described as ‘tinkering’ by Hayden (2013) – used as ‘bolt-ons’ to the curriculum such as; citizenship (Pike, 2007); British Values agenda (Rhamie, 2012); and the controversial Prevent strategy (Alam, 2013) – all designed for BGM learners to assimilate to British ideals, rather than a dynamic reform to cater for the global community. Hayden’s (2013), comprehensive review on the international school’s curriculum concluded that International schools could be used as a benchmark for curriculum reform to reflect society and ensuring Global contributors are present in each subject. On a Micro level, Schools could integrate multiple perspectives to topics within the curriculum to make it more inclusive for BGM learners and examine the curriculum to ensure that whiteness is not the norm (by) which everything is measured (Lumby, 2016:117). Alam, Y. and Husband, C. (2013). Islamophobia, community cohesion and counter-terrorism policies in Britain. Patterns of Prejudice, 47(3), pp.235-252. Bain, Z. (2018). Is there such a thing as ‘white ignorance’ in British education?. Ethics and Education, 13(1), pp.4-21. Demie, F., 2019. Raising achievement of black Caribbean pupils: good practice for developing leadership capacity and workforce diversity in schools. School Leadership & Management, 39(1), pp.5-25. Gillborn, D. (2008) Racism and Education. London: Routledge. Pike, M.A. (2007). The state and citizenship education in England: a curriculum for subjects or citizens?. Journal of Curriculum Studies, 39(4), pp.471-489. Rhamie, J., Bhopal, K. and Bhatti, G. (2012). Stick to your own kind: Pupils’ experiences of identity and diversity in secondary schools. British Journal of Educational Studies, 60(2), pp.171-191. Richardson, B. ed. (2007). Tell it like it is: How our schools fail Black children. Bookmarks.